The Flu Vaccination Clinic will be held at the Doctors Surgery, Ardara on Tuesday 9th October from 3pm to 5pm. Please telephone 074 9541134 to book an appointment. Cerebreon Technologies was set up a number of years ago by Kenneth Doherty and his wife Jill Doyle and what a wonderful success story they have developed. Two amazingly astute individuals had from their college days an ambition to set up their own business and, great for Ardara, they wanted to do it here. For a young company, it is startling the number of awards Cerebreon has won at National Level. Today, Cerebreon has its head quarters at Pearse Road, Ardara, and last week took on their seventh employee. 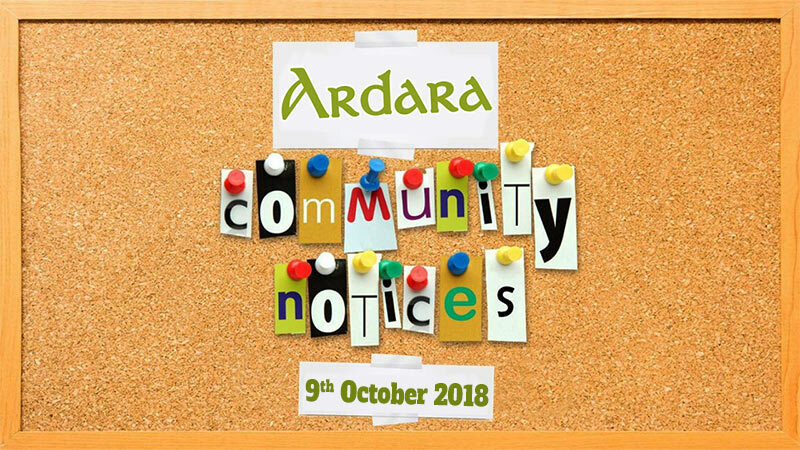 What a great story right in the heart of Ardara and as a community, we need more people with the initiative of Kenneth and Jill and hopefully their success will convince more of our young people to come back and set up business and home in Ardara. Congratulations to Homeland Creamery on building a new state of the art facility in Ardara. There was a period when the future of the Creamery in Ardara was in doubt but thankfully this investment in Ardara is solid proof the Creamery in Kentucky will be in Ardara for a long time to come. A fundraising dance will be held in Elliott’s Bar Lettermacaward on the 28th October in aid of Letterkenny and Galway University Hospital Oncology Departments. This dance has been organised by James (the baker) Melly. All donations will be greatly appreciated. This will be your opportunity to learn some new ideas, see some amazing photography, discuss techniques etc. 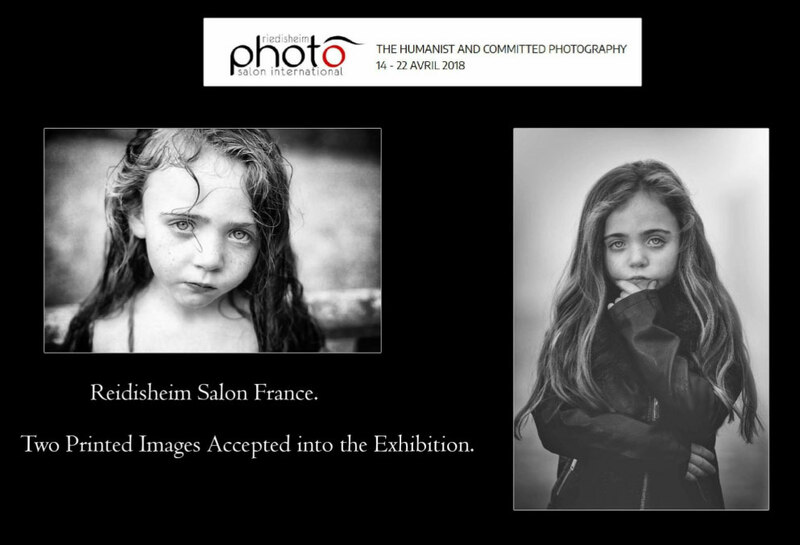 from a multi award winning professional photographer and to meet others with an interest in photography – young, old, experienced and beginners. We are a friendly bunch of enthusiasts. Tea and coffee provided. €20. 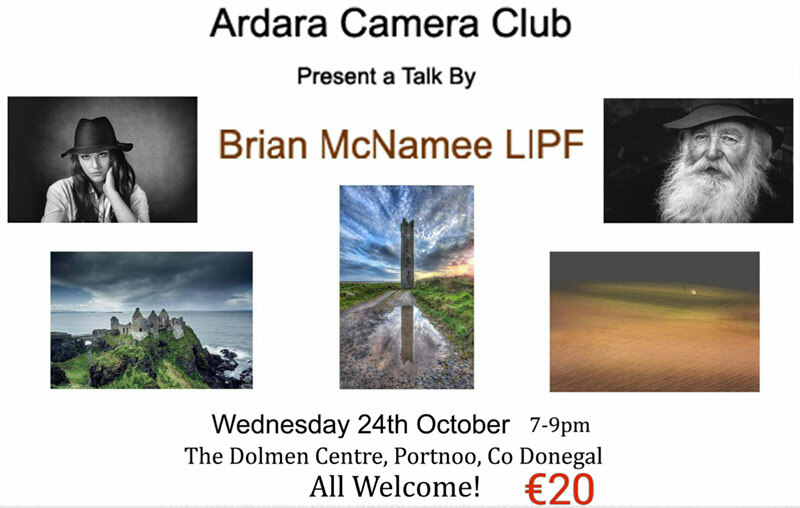 Contact Sue to book your place on 0860773359 or email ardaracameraclub@gmail.com. Paul, myself and our family would like to invite you to help us celebrate saying a massive THANK YOU TO EVERYONE. 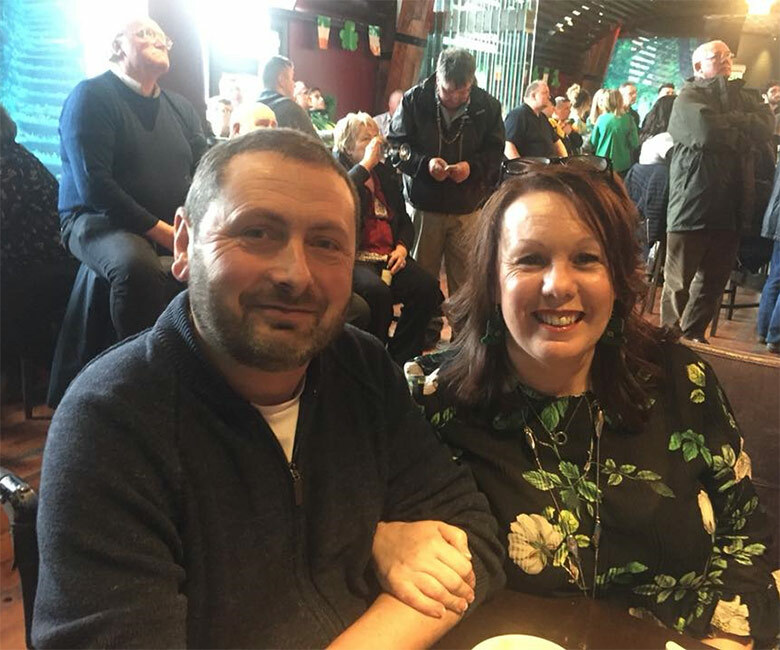 It’ll be one year since Paul had his treatment and none of it would have been possible without the help and support of all you amazing people, so we want to say THANK YOU. So join us Saturday 13th October and help us celebrate the kindness and generosity of everyone who came together to help Paul, celebrate the kindness of family and friends, celebrate the community spirit that was shown, and help me celebrate turning 50 which some people aren’t lucky enough to make. So come along that night, there will be an 80’s disco, finger food and lots of craic and let’s party !!!! The Warp and Weft of Heritage Weekend takes place Friday 12th October to Sunday 14th October 2018. Featuring lectures, film, theatre and a field trip, the weekend kicks off on Friday 12th October in the Nesbitt Arms Hotel. See our Warp and Weft Weekend page for full programme of events. The sympathy of the community this week goes to the McGill and Gallagher families on the death last week of Phelim McGill.